Dr. Neurohr is an American Board Certified Plastic Surgeon who has practiced in Dallas, Texas for 25 years. He has dedicated his life to helping improve people’s lives through Plastic and Reconstructive Surgery. 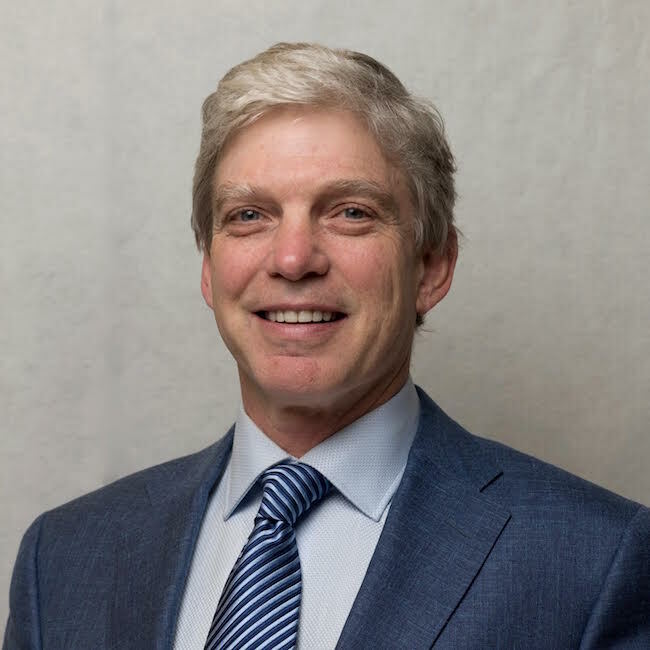 During the 1980’s, Dr. Neurohr developed his interest in faces when he was performing operations to treat cancer of the head and neck, and immersed himself into the anatomical study of the region. Then, when he advanced to Plastic and Reconstructive Surgery at The University of Southern California, he furthered his skills by performing complex reconstructive operations at the City of Hope, Los Angeles County Medical Center, and Rancho Los Amigos. At that time, Dr. Neurohr started his first cosmetic surgery clinic. He realized that the best plastic surgery made people look better, but you could not tell they had surgery! Obviously, the face is most challenging place to achieve non detectability because in western cultures, it is not covered by clothing, and it is the central focal point of identity recognition, and interpersonal communication. So, Dr. Neurohr further pursued his post-doctoral studies with Dr. Bruce Connell at the Connell Clinic in Santa Ana, California. Dr. Connell was recognized globally as the Master of facial aesthetic surgery, and his teachings reflected the principles that Dr. Neurohr recognized as key to superior results. Based on sound, ethical medical practice, centered on patient care, drawing on the most disciplined surgical technique, yet imaginative in problem solving, and creative in artistic judgment, the quality of surgical results he learned to achieve was amazing. Dr. Neurohr realized that he was adept at visualizing possible results for individual patients, and that if he could “see it,” then his hands could make it happen. He learned that he could trust his eye, and in doing so, he found his calling in life. Southern California earthquakes drove Dr. Neurohr and his family back to Dallas, Texas in the late 1980’s. There, he built a great private practice of aesthetic plastic surgery, exclusively by “word of mouth.” During the 1990’s, Dallas was a hot spot for developing facelift techniques. A term called “the Dallas look” was coined to describe the tight, pulled appearance of the post-operative patients. The surgical techniques were actually designed to withstand extreme tension because the big thought was that the tighter you could pull it, the longer it would last. Unfortunately, surgical tension looks artificial in a facelift. Dr. Neurohr knew this, and avoided the trap. He developed an individualized SMAS facelift with fat grafting in 1990. Very few surgeons believed that injectable fat grafts even worked back then, but Dr. Neurohr saw what natural improvement the technique produced in his patients. The quality of his results was unparalleled, and he quickly catapulted to the top tier of facial aesthetic surgeons in Dallas and in Texas. Dr. Neurohr persistently studied natural forms and shapes of living structures, always looking for applications, which would further improve his surgical procedures. For instance, in the very unforgiving lower eyelid operation (blepharoplasty), he was one of the first to implement an array of stylized “canthopexy” procedures to preserve the inherent shape of the eye. He also pushed back on trends to move the fat bags out of the lower lid and place it on the cheek thinking that it was anatomically incorrect. He developed a “repair” operation that actually treated the lower eyelid fat bags like a hernia, thus restoring the proper spatial relationships of the lower eyelid and the cheek. The soft tissue wasting of the orbital area, due to aging changes, he treated with injectable fat grafts, again, way ahead of his time. However, he quickly learned that was not the case, and he was shocked at how forceful and rough most of the surgeons were. He related his observation to Dr. Neurohr. Then, he told Dr. Neurohr that he was very impressed with the gentle care he witnessed during the session. He said Dr. Neurohr actually did treat the skin “like porcelain glass.” He told him that if he ever had a facelift, that Dr. Neurohr was definitely the one he wanted to perform it! Dr. Neurohr has recently completed a chapter in the textbook, Aesthetic Rejuvenation of the Face, just published by Theime in May 2016. The chapter is about Avoiding Complication in Facelift Surgery. Dr. Neurohr is very dedicated to his one and only wife of 35 years, Stephanie, and their eight children. He adeptly balances family responsibilities and his medical practice. He operates a solo practice with a state of the art, surgical facility certified by the AAAASF. He personally consults with every patient, takes all his own photographs, and performs every detail of every surgical procedure, from the first marking to the very last stitch. Referrals come by “word of mouth,” the earnings of his inspired work, and that continues to drive the practice of his art. To find out more about Dr. Hunt Neurohr or the cosmetic procedures offered at his office in Dallas Texas, please contact us today.